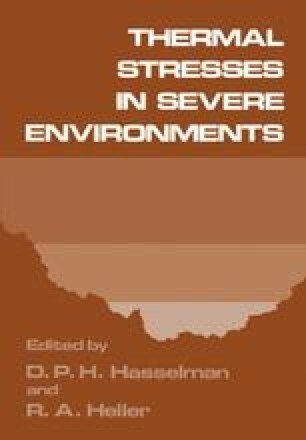 A problem of increasing interest and importance is the numerical calculation of stress intensity factors for cracked or otherwise imperfect structures due to thermal as well as mechanical loading. The finite element method has become one of the most popular and effective computational approaches to stress analysis, and a large number of fairly successful schemes have been introduced to treat the stress singularities of interest in fracture mechanics as outlined in . One of the simplest yet most effective methods for treating such problems is the introduction of special “singular elements” to model the fields in the immediate neighborhood of the exceptional point without requiring an overly refined (and expensive) mesh.